Internet of Things (IoT) are gaining popularity and will be increasing ubiquitous in near future. They will find use in a vast array of applications ranging from sensing, actuating, monitoring, and decision-making efforts. The expansive usage, while facilitating broad range of applications will bring in challenges related to security. The resource limitations of IoT will complexities to these challenges. In this talk, we will overview these challenges and discuss potential solutions that have in developed in our research efforts. We will discuss about continual authentication approaches to ensure security in sensing elements of IoT system. Detection of threats or malicious behavior and protection of some obvious threats will be the topic of the next issue that we will explore. In addition, we will discuss about the vulnerabilities that can be exploited for various attack scenarios in IoTs. The talk will be concluded with a few remarks regarding the future research directions on IoT security. Dr. Prasant Mohapatra is a Professor in the Department of Computer Science and serves as the Vice Chancellor for Research at University of California, Davis. During the prior years, he served as the Dean and Vice-Provost of Graduate Studies. He is a former Endowed Chair of the Department of Computer Science. He was the Editor-in-Chief of the IEEE Transactions on Mobile Computing, and has served on the editorial boards of the IEEE Transactions on Computers, IEEE Transactions on Mobile Computing, IEEE Transaction on Parallel and Distributed Systems, ACM WINET, and Ad Hoc Networks. He has been on the program/organizational committees of several international conferences. 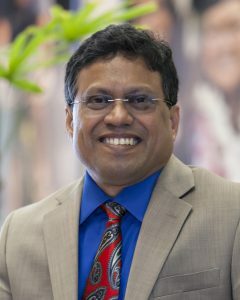 Dr. Mohapatra is the recipient of an Outstanding Engineering Alumni Award from Penn State University, an Outstanding Research Faculty Award from the College of Engineering at the University of California, and the HP Labs Innovation Research Award winner for three years. He is a Fellow of the IEEE and AAAS. Dr. Mohapatra's research interests are in the areas of wireless networks, mobile communications, sensor networks, and cybersecurity. Dr. Mohapatra's research has been funded through grants from the National Science Foundation, US Department of Defense, US Army Research Labs, Intel Corporation, Siemens, Panasonic Technologies, Hewlett Packard, Raytheon, Huawei Technologies, and EMC Corporation.